In this introductory article in my Prepping 101 series, we’ll be exploring the contents of the average BOB in greater detail. 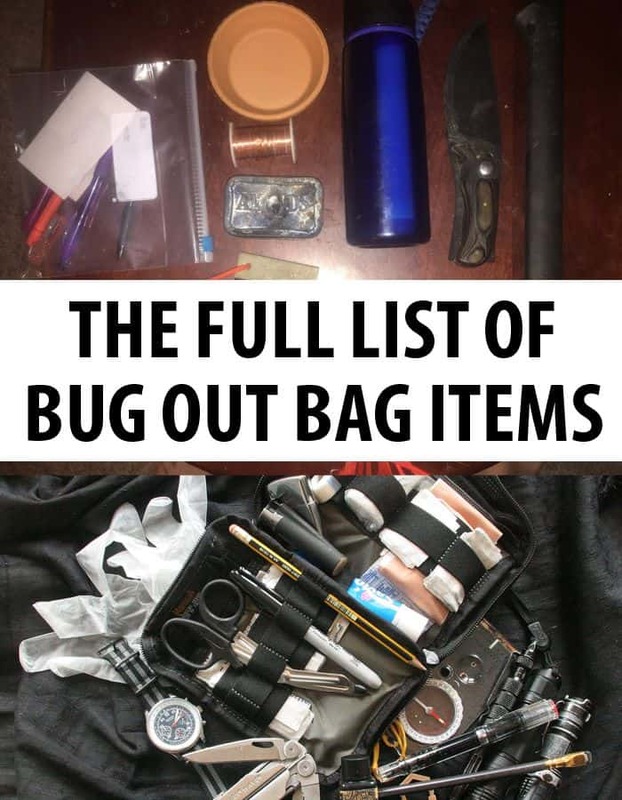 The first article in this series was an introduction to bugging out as a tool in the prepper toolbox and examination of how bug-out bags facilitate that endeavor. If you have not read that article yet and you also happen to be pretty new to prepping in general, be sure to check out that article here to be sure we are all on the same sheet of music. Otherwise, since we are all familiar bugging out and what that entails as a concept, we’ll delve right into our list of contents. This list will serve as an excellent template for nearly any situation and can be added or subtracted from freely depending on your specific needs or anticipated scenario. Weight is a killer. Weight slows down movement, increases fatigue and burns energy. For the uninitiated, adding weight on already strenuous movement is a great way to become exhausted or injure your feet. Either may be a death sentence when dealing with a protracted crisis. Weight must be kept to a minimum at all costs so long as vital gear is not omitted. What exactly is “vital” is the result of an equation made up of your skills, situation and unique needs. The very skilled and experienced need less gear of all types, where the greenhorn will need more to ensure survival. 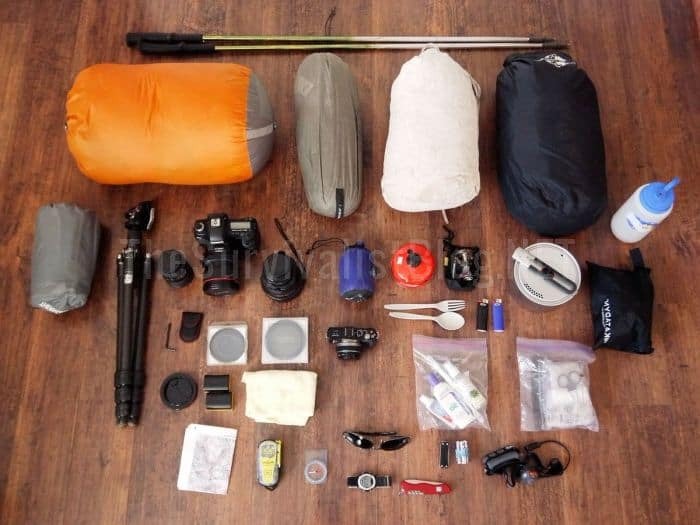 Also don’t pack anything too specialized or redundant unless it is a critical piece of gear. Pay special attention to multi-purpose items and choose one of those versus a one-trick pony whenever possible. When selecting items to put in your BOB, always look for the lightest option that can fulfill the requirement and your budget. The weight of the pack itself must also be considered. You might not think a difference of 5 lbs is much, but that is 5 lbs of potentially lifesaving gear that cannot be carried in the same weight envelope. You must justify every ounce that you load into your BOB against the weight added and subsequent drain on your energy. This is not to say you should omit everything but the most needed; some items have considerable psychological or morale improvement benefits that could be very valuable and comforting for you or others in times of trouble. Think little things like coffee, tea or perhaps a small talisman or trinket with considerable sentimental value. My longtime readers know I have preached about the often overlooked mental element of surviving and thriving in trying times at length; if it is small, light, and will help you focus, harden up or endure toss it in, just don’t allow yourself to indulge in luxuries. 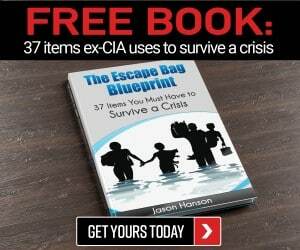 All of the categories on this list cover essential requirements for human survival; Shelter, Food, Water and Security. Within those broad categories you will find specific items to help you achieve those ends. 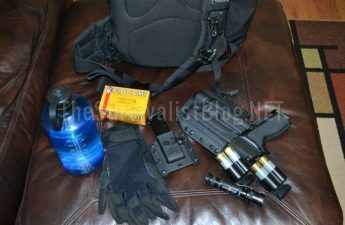 Note that this list as I mentioned above is not all inclusive or even the “best” list: it is a very generalist packing manifest that will help make sure you are prepared for most contingencies. If you are preparing for very specific threats, say like a chemical leak or attack, or some radiological hazard, there will items you’ll need to include in addition to these essentials. 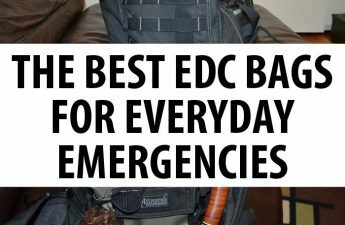 Also if you habitually carry some of the smaller items on your person as part of your EDC (everyday carry) items, you can bump their inclusion from the list as you should have it in your pocket already when the sirens start wailing. Things to help you regulate your core temperature. Exposure is a major killer worldwide: too hot or too cold for too long and you are done for. Do not assume that just because you live in a temperate or arid area that hypothermia is a non-issue. Consider night time temps and the effect of wind chill on wet or sweaty clothing and you are starting to get the idea. This section includes things like spare clothing suitable to the climate and weather, as well as items to provide temporary shelter. Clothing should include pants, shirt, underwear, socks and the like as well as outer or shell garments to help beat your local weather conditions, think a rain parka or superlight long sleeve shirt for sun. Focus on durable and breathable items, and learn up on how layering works to best regulate your body temperature for a minimal amount of gear. Don’t forget to include appropriate sturdy footwear if you do not typically wear shoes or boots appropriate to long movement over varied terrain by foot. Gloves are mandatory for protecting your hands from injury and added insulation. Shelter equipment can take the form of small tents or large tarps with appropriate rigging and cordage, sleeping bags, sleeping pads, reflective blankets and the like. Tarps are greatly preferred for their super small footprint and multipurpose nature, but they take a little more skill and experience to set-up quickly as a shelter. If you choose a traditional sleeping bag or bivy sack, make sure they can insulate you down to at least 30 degrees Fahrenheit, or lower if you live in a cold climate. As I mentioned in the previous Prepping 101 article, you must assume power will be out for the duration of a crisis, and even if it isn’t having the ability to create light when you need it in the dark is invaluable. Your go-to options here are headlamps and handheld flashlights. Headlamps get the nod because they allow you to work or navigate hands-free. When choosing a headlight or flashlight, look for models that have a good combination of runtime and output. More light when you need it is generally good, plus greater output allows the light to be seen farther away for signaling. For some tasks and activities though, you may not want a handheld or head-mounted searchlight blazing, so many will feature dimmer switches or selectable output. These units can be a little more expensive put may be well worth it for their adaptability, not to mention their energy saving utility. Whichever you wind up choosing, ensure you have several extra sets of batteries for each. Other lighting options are lanterns and chemlights. Lanterns can be good light sources for pushing out a ton of light, but their greater bulk and sometimes greater fragility compared to headlamps and flashlights and typical dependence on larger, heavier batteries (for electric models) or volatile fuels make them less than ideal for a BOB, though they have a place as items to include in a vehicle kit or home supply cache. A small, battery powered LED lantern may be a worthwhile inclusion if traveling in a group. Chemlights, or snap lights, are lightweight, heatless, reliable, inexpensive and completely safe sources of marking, signaling or gentle emergency light. They are available in a ton of colors, and I always include a handful in all of my bags, as one of these from a good manufacturer will last for at least 6 hours of visible light. The applications are endless for these things, and their unique activation and soft glow also work wonders to cheer up kids. All are good for quick energy from caffeine or sugar. You are largely going to consider including food in your BOB that you would consider keeping stored in your supply at home: slow to perish or spoil and calorie dense. You are not packing or a camping trip, so don’t get too wrapped up in a variety of options, though palate fatigue affects some people negatively on the emotional front. Unlike stocking up for home, cans should be avoided here or at least kept to a minimum: cans are space inefficient and heavy, so we can usually get the same item in a foil bag, either dehydrated or not for less weight. You can either choose items ready to eat on opening (or when heated) or dehydrated “survival” or camp meals that you need to add hot water to. MREs are popular, if heavy, food items that have the advantage of being in supremely rugged packaging and include a few nice condiments and other things inside. You can save weight and bulk by breaking an MRE down into its base items. Beware: they are notorious for causing severe constipation when eaten regularly. You should also include drink mixes like electrolyte powder, coffee and tea, or instant cocoa and Kool-Aid for hydration, caffeine and quick energy respectively. All are good morale boosters. Smaller snacks or rations that can be eaten on the go or on a short break are also desirable, things like granola bars, energy bars, nuts, jerky and similar foodstuffs. Do keep in mind all of these items should be rotated out periodically. Don’t assume you can leave that pouch of beef and rice in your BOB for 5 years and open it up to enjoy a safe, tasty meal. It is important to understand the value of calories as fuel in a crisis. Most of us have at least a little stored fuel around our midsections, and starvation is not a major threat except in a very long-term or regional crisis, but a calorie deficiency will start to impact your energy levels in the negative. We want to include the aforementioned foodstuffs to give us the ready supply of quick energy to offset our expenditures during strenuous activity or periods of high stress. Preppers commonly debate whether or not one should stretch the food supply in a BOB as sustainment rations or use them more liberally to ensure peak energy levels. It is worth considering both viewpoints. An item of considerable importance for both cooking and boiling water is a camping stove with fuel. I have included information on selection of these devices in the ‘fire starting” section below. Also be sure to include a small, light reusable eating utensil or mess kit consisting of a metal bowl/mug and cutlery. Your pack should include water ready for consumption. The problem is water is extremely heavy, and a large supply will see you with a breaking back in no time. An ideal to shoot for is a one day supply of carried water, this defined as the water an adult needs for hydration over a proper day of activity. That equates to about 2 liters, give or take a little. After that, you should have a plan for sourcing, purifying and refilling from found sources. To offset this relatively small amount of carried water, we will include both filtration and sanitation systems to allow us to make found or captured water safe (or safer) to drink. For your water carriers themselves, everyone has preferences and all have perks and flaws. The now ubiquitous Nalgene polycarbonate bottles are easy to clean and highly durable, but cannot be heated. Some people like military style canteens for their ruggedness and availability, but they are not the most efficient use of space. Either of those bottles though allows you to nest it inside a correspondingly sized metal mug or bowl that will allow you to cook or boil water in it for sterilization, an important feature. Another option is a hydration bladder with drinking hose. These are great when on the move, and can be easily integrated into a bag, but are hell to keep clean and not stinky, and can be tough to fill from found sources of water. For filtration and sterilization, we will include a pump or straw-type filter and chemical sterilization additives in the form of tablets or drops. There are a great many models on the market, and all vary in efficacy. Some are not 100% effective and all will require maintenance or filter replacement after cleaning a quantity of very dirty water. Chemical contaminants in the water are another issue, as some filter will not remove all kinds, and drops or tabs are of course ineffective against such hazards. It is up to you to understand precisely what your filter can accomplish and assess the likely types of contamination present in any found source of water. The ability to make fire has long been an asset for mankind, allowing us to banish the dark and cold, keep predators at bay, cook our food and sterilize our water. It does the same for us today, and is even more vital when the power is out and not coming back or you are living in austere conditions and so you should have multiple methods to create it at will. Your go-to tools in this category will be camp stoves, lighters, matches and ferro rods. The disadvantage of many of these stoves is weight, added bulk, and for most, reliance on dedicated fuel cells. When choosing a model, look for the lightest possible models. This will naturally rule out the multi-burner tabletop and briefcase type versions. Also try to buy the most efficient model you can afford, as this will make better use of the weight allocated to fuel for the stove. 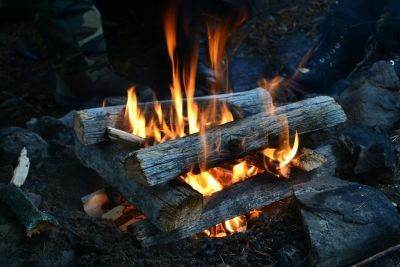 Many preppers living in and around areas that have an abundance of trees omit the camp stove entirely in favor of making use of the ready supplies of found wood. Definitely an option, and will save precious weight and space in your pack. The stereotypical outdoorsy or survival tool is the ferro rod, used in conjunction with a steel striker to produce a blazing shower of sparks capable of igniting a variety of tinder. Ferro rods are typically compact, are reliable with practice and have little in their design that can break or fail. The disadvantage of ferro rods is that they require some practice to use reliably. Too valuable and small to not have, these are easily carried on your person, even on a key ring or necklace if very small. Lighters are an obvious tool for fire starting and sometimes overlooked, believe it or not. Here, including a few disposable butane lighters like the classic Bics makes sense, as their cost is negligible and performance-to-weight ratio is unbeatable. They may not light reliably in very cold temperatures, but this is more akin to the fuel than the lighter itself, and can be ameliorated by keeping the lighter in a pocket closer to your body to keep it warm. Other options are specialty ruggedized outdoor lighters designed to ignite in any conditions, or classic designs like a Zippo or Ronson. The latter two have serious drawbacks in the form of fuel leakage and evaporation, meaning a prolonged event may see it run out. Without a spare can of fuel, you’ll need to come up with an alternate fuel to put in them. While not specifically designed for alternate fuel sources, there are some preppers who prefer the Zippo/Ronson because it can be adapted to light anything from kerosene to rendered fat, and they appreciate the versatility. If you decide to go for one of these vintage designs, be sure you include a Bic or two as backups. Your other option for fire starting is matches. Matches come in all shapes and sizes, but for the purposes of survival and being certain we can light a fire with them when we must, we should look to the specialized, waterproof survival or “storm” matches that often have coating over the match head and very sturdy bodies. These specialist matches are far less common (and more expensive) then their everyday matchbook and grill-starting brethren, but they are well worth the small investment as yet another redundant method of fire starting. The value of fire in a survival situation, especially one that has seen you driven from your home or shelter, cannot be overstated. Whichever tools and tinder you wind up choosing, choose at least two of each. You must know where you are going, where you are and how to get there if you are bugging out. Don’t trust to memory: get a variety of maps covering your local and wide geographic area, including road atlases and topographic maps. The mind may forget, but paper remembers. Even if you are a lifelong resident, traveler and rambler across your city/county/state, you will not know quite all possible routes for departure or approach to a given location. Ensure that your chosen maps are water and moisture resistant, either the material they are made from itself or by treatment or sealing them inside a waterproof bag or pouch. A compass will provide basic direction-finding and in conjunction with your maps and some skill allow you to navigate accurately over land even across long distances. A basic, quality field compass by Suunto is a good choice, accurate and reasonably priced, but for coarse work a small, quality button compass is passable. Make sure you purchase a compass calibrated for the hemisphere of the globe you live in! GPS is an invaluable tool if the satellite system is online and functional, and will let you navigate with great precision and surety. 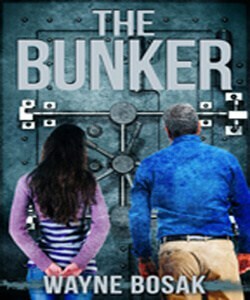 Many preppers worry, rightly, about the availability and reliability of the complex network in the event of regional disaster or weather event, and especially any instance that may disrupt communications and electronics, like an EMP or major solar storm. Considering these devices are smaller, lighter and more affordable than ever, you would be well advised to invest in one for your BOB with the understanding that a few scenarios may force you to fall back on traditional navigation techniques.If you decide to utilize one, keep it up to date, and keep plenty of spare batteries or an off-grid charging system like a solar array. So long as you can utilize a map and compass with confidence, you will be in good shape; a working GPS will just make your journey much easier. A selection of tools tailored to your plan, if chosen judiciously, is a smart inclusion in your BOB. If you are only going to carry one tool in your BOB, make it a good, strong fixed blade knife. The knife will serve countless purposes, from processing wood and shelter construction to self-defense. Additional smart tools would be a folding saw, small hatchet or tomahawk, especially if you live in a densely wooded area. A good saw will make quick work of wood and both the hatchet and tomahawk have utility as generalist tools for extrication and forced entry as well as formidable weapons. A lightweight folding shovel will see much use in most places for improving shelters, digging latrines or refuse pits and extracting stuck vehicles. Before including anything more than your knife, ask yourself how this tool will fit into your plan, or any possible contingency plans. If you cannot think of a handful of situations where it will be useful, leave it behind. Additional tools worth their weight are a smaller, supplementary knife, folding or fixed blade, intended for detail work and as a backup. Consider also a multi-tool, either with pliers or without, to pack in many useful tools in a small size envelope. If you carry these items daily you need not include them in your BOB unless you really want backups. Good examples and my personal favorites are a Swiss army knife or some variant and any of the multi-pliers tools made by Leatherman, SOG or Victorinox. If your multi-tool does not include a set of pliers, consider tossing in a set of medium vise-grips. A good model will function as a wrench, wire cutter and clamp in a pinch (no pun intended), and can take the place of several other items that would be nice to have. I typically carry a Swiss army knife on me and toss a set of vise-grips in my bag. The multi-pliers tools are super handy, but I have found that when I need pliers for some reason I usually require the beefy strength and jaws of the vise-grips. Don’t go overboard on tools unless your travel plan is very vehicle-centric, and in any case your tool kit is better included in your vehicle loadout than in your BOB most times. A roll of duct tape, re-wrapped around a bottle or flat-packed is invaluable for hasty repairs and lashings, and together will a hank of sturdy cordage will let you lash, tie, hoist or bind nearly anything. Small cleaning kit or oil bottle. You may live in harmony with a tightly-knit community of like-minded people, but sadly you cannot assume that things will stay that way, or that desperate or deranged people will not cross paths with you when the world as we know it is coming to an end. Some people will be laboring under desperate need, and will want what you have. 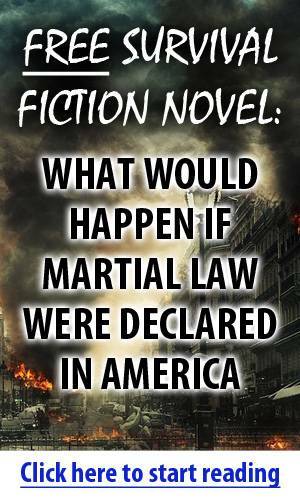 Others will have mentally gone around the bend from stress or trauma or simply seize the chance to slake the bloodlust in their black hearts. Whatever the case, you must be prepared to meet their force with your own. Guns are an obvious choice here, but require a certain level of skill to use effectively. 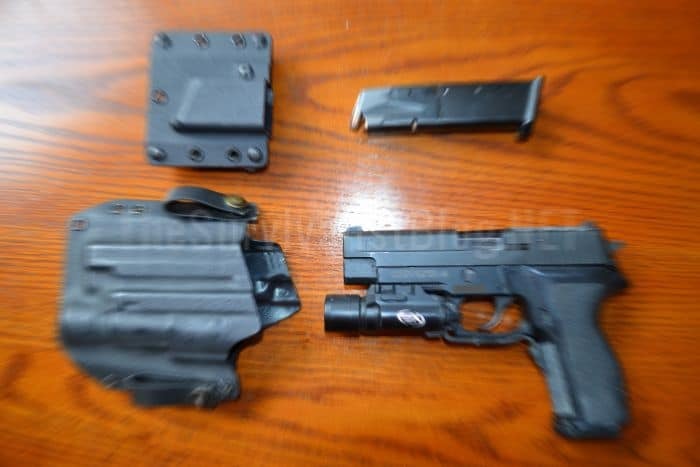 Handguns are the defacto choice for most citizens being light and easy to carry and conceal from prying eyes. Long guns bring much more power to the table, but weigh more and cannot be concealed on your person easily. Rifles and shotguns are both worth consideration, and each has its own pros and cons. Rifles allow you to shoot very far with great precision and power, and at closer ranges are much easier to shoot well than handguns, generally. They can make good all-purpose arms for defense or hunting of larger game. A shorter rifle, usually called a carbine, is ideal for prepping as it will still perform well and do so in a smaller lighter form factor. Shotguns are extremely versatile thanks to the differing types of shotshell they can load, and if loaded with shot are easy to hit with. Using slugs they can be pushed out to a 100 yards, perhaps father, although they lack the precision and range of a rifle. Shotguns allow you to use one gun and optimize it for hunting of small game, birds and large game or self-defense against humans just by swapping ammunition types. A shotgun loaded with large shot, such as buckshot, makes for a ferociously powerful close range defensive gun. If you carry a pistol daily, you may choose to only include extra ammo in your BOB, or a little extra ammo for it and then a supplementary long gun with additional ammo. Whatever you choose for a firearm, know that ammo is heavy for its size, and magazines can be bulky. Shotshells in particular are heavy and cumbersome to store compared to other cartridges, and this can be a limiting factor for shotguns in particular. Another weapon you might consider is a large pepper spray canister, which is typically effective against man and beast alike and still gives you the advantage of range. Close combat is always risky business; you may use your knife, hatchet, crowbar or whatever at bad breath distance, but your adversary will have more influence over the outcome of the fight. Other weapons like bows, crossbows, swords, spears and similar archaic designs are viable, in strict sense that any of them is capable of inflicting lethal wounds on an attacker, but they all have substantially more drawbacks than perks compared to firearms, and while none of them have such a strict dependency on ammunition as firearms do, I cannot advocate you spend much time learning them if you are starting from zero with limited time and resources. If you are already a skilled user or practitioner of any of them, you might give some thought to incorporating them into your equipage, but I would caution you that you live in the era of the gun, and to casually disregard that might be foolhardy. First aid skills and supplies will be a top concern when preparing for protracted disasters. Without ready access to prompt medical care, once relatively minor injuries and illnesses may now invoke serious consequences. Your first-aid kit will be divided into two distinct levels, one for minor injuries and ailments and the other for serious injuries, or trauma. Your minor kit, or boo-boo kit, should include things like band-aids, some small gauze pads, antibiotic ointments or alcohol swabs, burn creams, sting relief, blister control, pain relievers, anti-histamine and nausea control meds, a compression wrap and perhaps some butterfly strips or liquid stitch for small cuts. These items are intended to manage discomfort and prevent infection, which is no longer something a quick trip to the doctor can fix. Your major kit, or trauma kit, should include plenty of rolled gauze (hemostatic gauze if you can furnish it), absorbent pads, compression bandages, tourniquets, medical tape, antiseptic solution, serious painkillers and wide-spectrum antibiotics (talk to your doctor about your purpose in procuring these; don’t be dumb), and other items for treating major lacerations and penetrating injuries. Again, none of these major items will do you a lick of good if you do not have the skills to use them, or are fortunate enough to find someone who knows what they are doing! A few basic classes on first aid and trauma care will pay dividends later. Don’t forget to include any must-have prescription meds in this supply, well-packaged and clearly labeled. You should rotate your medicines in your BOB according to their expiration dates. Keeping your body clean will help keep your morale up and stop the spread of diseases. You’ll definitely want to pack a generous supply of wet wipes, TP and hand sanitizer for taking care of nature’s call. Additionally you want a compact toiletry kit containing your usual daily care items like a toothbrush, toothpaste, deodorant, body powder, soap and razor, if that is important to you. You may not be able to spare the water or time for a full bath, but your wet wipes and sanitizer or a simple sponge bath will do wonders for preventing rashes and other cooties that spawn on hot, dirty bodies. Ladies or those traveling with women should include a stash of feminine hygiene items. If you wear prescription lenses or contacts include a spare set (glasses) or extra pair of contacts and appropriate cleaner and wash cases. You do not need to concern yourself with luxuries, but do not underestimate the importance of cleanliness! Diseases like dysentery quickly blow through groups when conditions are unsanitary, and bacterial or fungal skin infections can make you miserable or even incapacitate you. Stay clean and dry! A few other things you should definitely include are heavy duty contractor bags or barrel liners, and tough, 1 gal. Ziploc brand freezer bags, the kind without the slider-lock. Both will be helpful in compartmentalizing your items, waterproofing, stowing soiled or dirty items and even holding water. Dust masks and perhaps a set of lightweight goggles are worth including to protect your lungs and eyes from airborne particulate. The mask may take the form of the disposable paper-type and still afford decent protection depending on its rating. 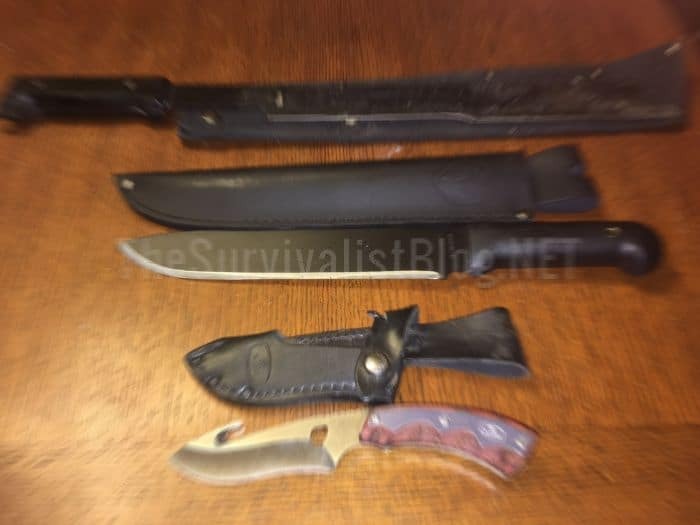 A few small guides or manuals on survival and other skills will be very useful for shoring up any gaps in your knowledge, especially if you do not have much experience. So long as you have time to make use of the info contained in them, they are priceless, and also good for passing the time. A file or flash drive containing copies of all your ID’s and other vital documents is invaluable in times of great upheaval. You may need to prove who you are and where you came from during or after a crisis. If you keep your docs on a flash drive keep them encrypted for security. Take great care to waterproof and hide your paper docs carefully. Lastly, don’t forget to toss in a little something that will improve your mindset, a personal talisman, good luck charm or similar. If it helps settle your mind, focus you, or calm you, it is worth including. You must not forget to take care of your mind! Whew. It seems like a long list, but once you have the above items assembled you will see that is not much gear in the scheme of things. But have no doubt that possessing the above items and the will to use them will see you survive an event that turns your city or state upside down, and help get you to greener, hopefully safer pastures. Look over the list, read it again, and start jotting down questions you have about your own situation and other thoughts you might have. Feel free to post them down in the comments, and stay tuned for our next entry in the Prepping 101 series. I couldn’t tote that much stuff to the end of my driveway, much less out into the woods. I have perfectly good 4×4 truck, if I can’t drive it I’m just going to stay where I am at. Fortunately I am already in the woods so I am where I want to be. Now if there is a cataclysm I may have to drive somewhere but where that truck stops is as far as I’m going to go.